Testosterone Depot - testosterone propionate from Bayer Schering Pharma, one of the most popular steroids in power sports, and in bodybuilding in particular. Beginners often use it as a starting AAS for tracking the body's reaction and obtaining a moderate anabolic effect. 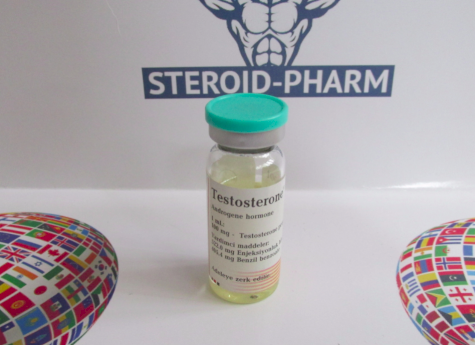 Professionals also use testosterone depot in 99% on combined courses and in breaks between them to maintain the recruited muscle mass and endogenous levels of the hormone. Anabolic and androgenic activity is 100%, suppression of the hypothalamic-pituitary-testicular axis is pronounced, aromatization is high (there is a conversion to estrogens), no toxicity for the liver, no time for detection in the body - up to 4 weeks from the last injection, duration of action is 2 -3 days. Most athletes use it when it is necessary to gain as much muscle mass, build a huge physical strength, or that would simply turn from a boy to a man, as it will not only help improve the athlete's physical qualities, but will also radically change it visually, and you you will slowly turn into an alpha male and a confident man who will clearly set himself before seemingly not probable goals, but now they will easily reach them. 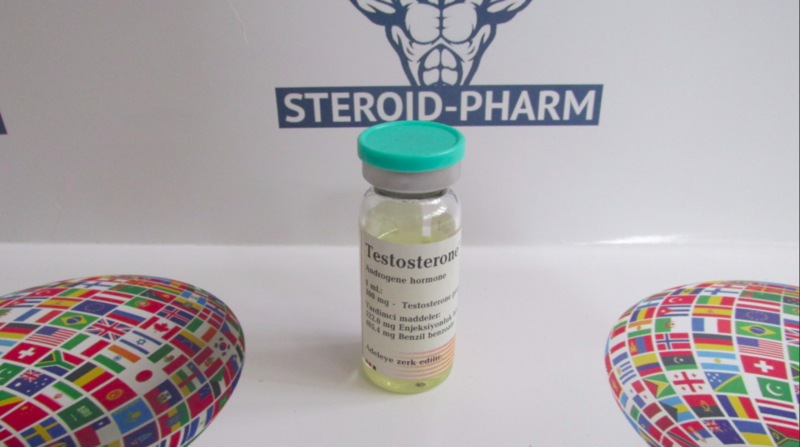 Testosterone Depotis very suitable for any course, for mass or drying you can perfectly combine it with other drugs, and it will strengthen the effect of others. When you start taking it, you will begin to notice that the muscle mass will start to grow on you very quickly, the appetite will increase and the meals will be more frequent, the well-being and mood will improve, the strengths will grow, and during training it will be easy to lift weights that seemed heavy and libido and potency will be just on top. •Increased muscle mass. Testosterone Depotchanges the nitrogen balance in the positive direction, which contributes to muscle hypertrophy. •Acceleration of recovery and muscle hyperplasia. •Protection of blood vessels and heart. The profit is obvious! Buy Testosterone Depot online, using our webstore and get the original product for the best price. Taking the course, testosterone enanthate and preparations based on it, mainly contribute to the increase in mass and strength. How to take Testosterone Depot 250 in combination with these or other steroids? Immediately we say that there are a great many possible and at the same time effective combinations. Here everything is limited only by your imagination, experience and financial possibilities. For example, to further increase muscle mass, testosterone enanthate can be combined with nandrolone, methandienone, boldenum, trenboloneenanthate and many other strong steroids. In particular, the course Testosterone Depot+ trenboloneenanthate allows to achieve good results. Dosages: testosterone - 500 mg for 7 weeks, trenbolone - 200 mg for 6 weeks. Also, to minimize side effects and PCT, you will need Proviron, Tamoxifen and Gonadotropin (first - from 2 weeks to 25 mg per day, the second - 9-12 weeks to 40 mg per day, the third - 10-12 weeks 500 times a day 3 days). Buy Testosterone Depot online on our website and make your first step into the world of bodybuilding.